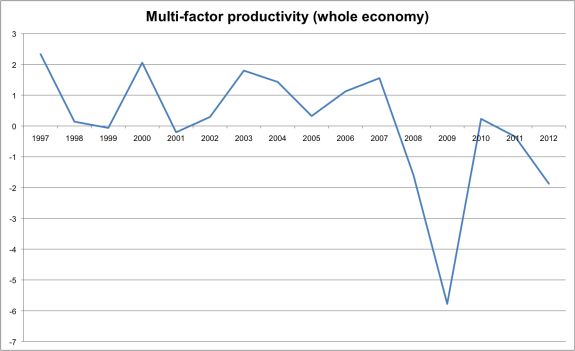 In my post on neutral interest rates I mentioned productivity figures. I wondered whether the reason the estimate of the (real) neutral interest rate of 1.8% (which is implausibly high) is a function of (i) using the wrong productivity measure; (ii) the problems with UK productivity measures. Labour market productivity is released each quarter, but ideally we want to use MFP. If anyone is aware of quarterly estimates, I'd be interested to know.